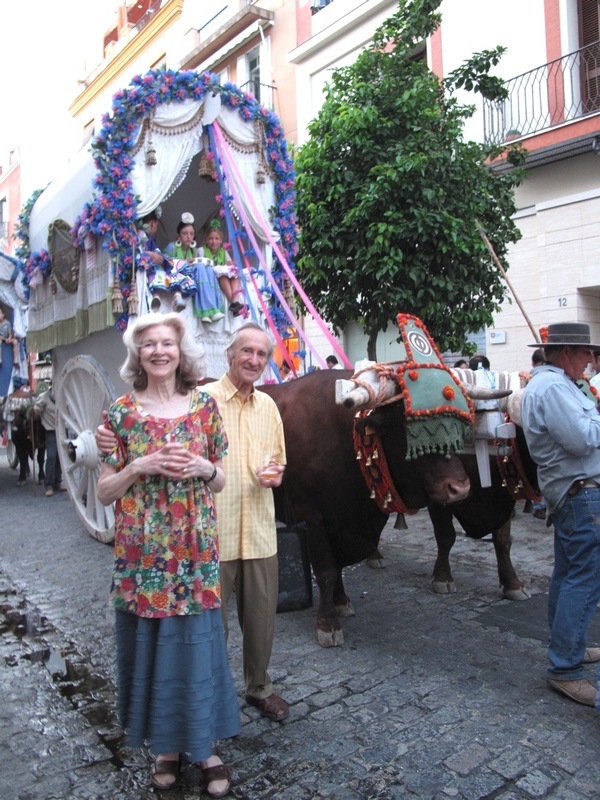 Rosemarie Mulcahy, a distinguished historian of Spanish and Italian art - and a dear friend - died on 5 September 2012. Today, marking the first anniversary, there will be a memorial celebration at 1:30 pm at Newman House, St. Stephen's Green, Dublin. I am grateful to have seen Rosemarie barely two weeks before her stunningly unexpected death. 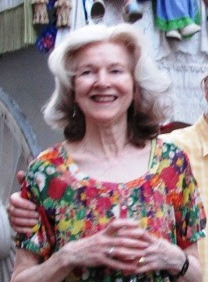 She and her husband Seán always spent a week in August with friends at Castiglioncello, on the Tuscan coast. 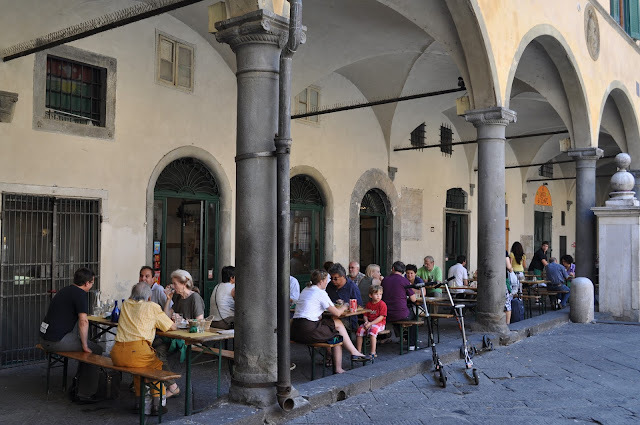 So I popped down for lunch, from my home in Florence. 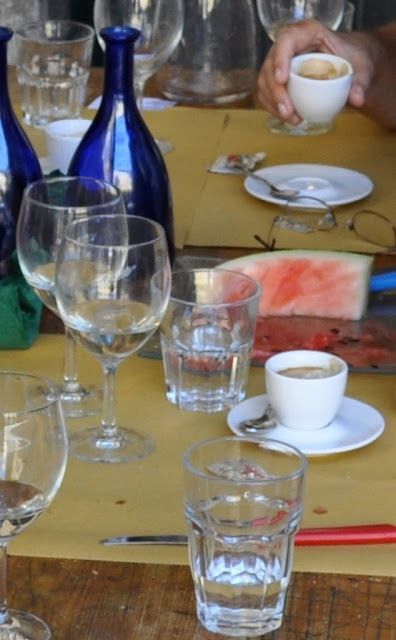 It was a very pleasant lunch, on a terrace overlooking the sea—but just a lunch. We were old friends who had hung out together countless times in the past and we fully expected to continue doing so in the future. Rosemarie and I talked mostly about her many plans—for publications, travel and a prestigious lecture tour in Spain. Now a year has passed—but can any of us believe it? I am still not ready to think of Rosemarie Mulcahy in the past tense. Rosemarie and Seán in Triana (Seville) for the return from Huelva of the Rocío pilgrims. We all have our own treasured memories of Rosemarie Mulcahy, so you can imagine how much I wish that I was with you in Dublin today, hearing your stories and sharing your recollections. But I am in Washington, DC, at the moment—far from my home in Florence, Italy. Perhaps a little mental exercise can help us connect—at least in spirit? What if we all closed our eyes and formulated a quick list of Rosemarie’s defining qualities—the essential characteristics that made Rosemarie Mulcahy Rosemarie Mulcahy? 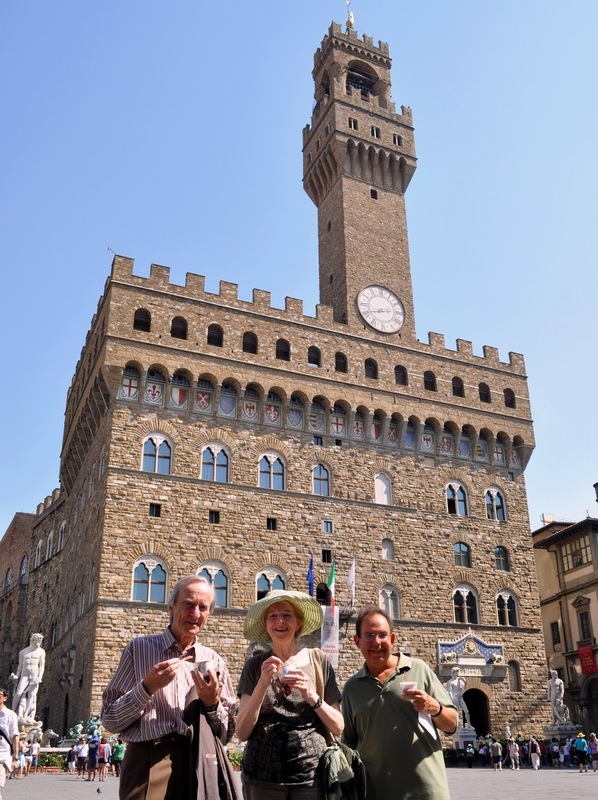 Florence: Gelato in Piazza della Signoria. 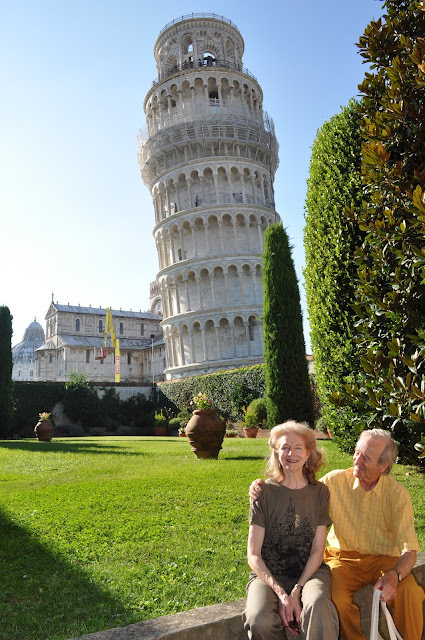 Rosemarie and Seán beneath the Leaning Tower in Pisa. No one, I think, will disagree with any of those traits. But—truth be told—they were not the very first that occurred to me. For those, could we try “outspoken” and “impatient”? Thinking back over the years, I realize that the situations I recall with the greatest pleasure usually involve Rosemarie being annoyed with something or someone—me, for example. And she did not hesitate to express herself—in her own inimitable style. In the scholarly context, Rosemarie had absolutely no patience for those who fell short of her exacting standards. Years ago, on a flight to Dublin, I found myself seated next to a young lady who was still recovering from the trauma of an inadequately prepared undergraduate paper. From Rosemarie, it elicited a terse, “Well. Yes. Thank you.” Followed by a full stop and a thunderous silence. The student, I hasten to add, rewrote the paper and did quite well in the course but decided (probably wisely) that art history wasn’t for her. Rosemarie’s restless energy emerged in non-academic situations as well. She was, of course, the very best company imaginable —all was right with her world when she was huddled up with friends, around a laden table or at a crowded bar. And nothing quite equaled the dizzying experience of traveling with Rosemarie. 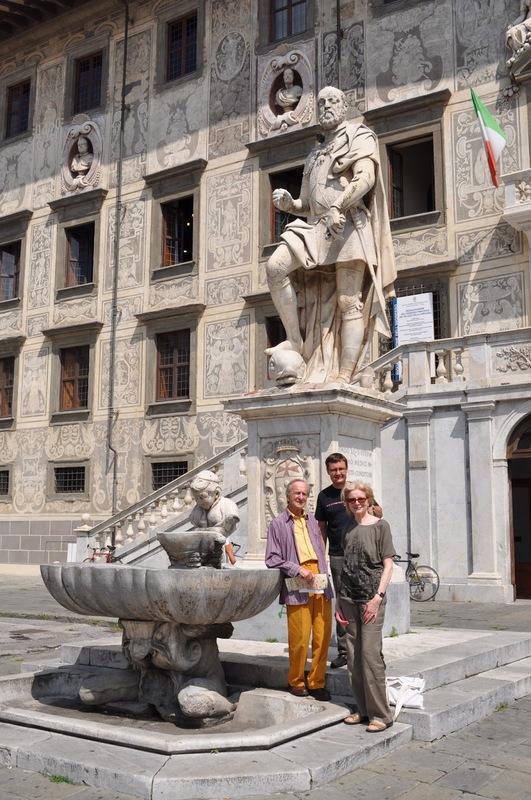 Minute by minute, the trip would veer from a royal progress to an artistic treasure hunt to a Commedia dell’Arte tour. Rosemarie: “Well, I am sure that we are all ready for a nice bottle of Prosecco” (a dry white sparkling wine from Northern Italy). 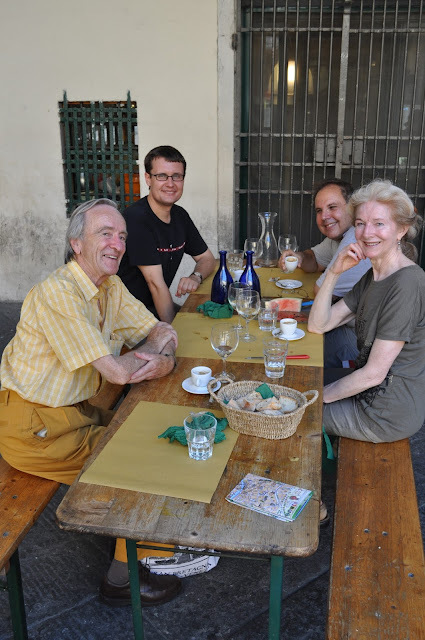 Rosemarie, Seán, Anatole Tchikine and myself at lunch in Pisa. So, we would fall back on an excellent local white—we were in prime wine country, after all. And Rosemarie would sigh and contemplate an exemplary sacrifice, “Well, under the circumstances, I suppose…” She would frown at her glass of Frascati or Orvieto for a statutory three minutes—and then make up for lost time. Lunch in Piazza delle Vettovaglie, Pisa. Rosemarie’s unique approach to problem-solving found its purest expression when she was faced with advanced technology—or indeed, anything that had moving parts. Like the lockers in the cloakroom in the Florentine National Archive… I can still hear her sharp exclamation, “What are these people thinking? !”—even after her twentieth encounter with the same hostile machine. Basically, every Archive user inserts a combination of their own invention and then uses it to retrieve their bags and books and whatever. And admittedly, you do need to hit the “Set” button just the right way—which no one does the first time around. But every morning, the same drama ensued. Rosemarie would arrive, spin dials and push buttons to no effect, and exclaim, “What are these people thinking? !”— then shove her satchel under a nearby sofa, more or less out of sight. And—looking back into the mists of time—how many years did it take Rosemarie to make her peace with e-mail? Ireland is usually cited as the most tech-savvy country in the world—but it is clear that the statisticians never interviewed Rosemarie Mulcahy. Suffice it to say that she was the last person on earth with whom I communicated by fax—well into the present century. Say what?! Rosemarie with an iPad? I regret never having seen that with my own eyes. Still, it is a mental image that I will treasure for the rest of my life—and if anyone has a photo, please share! Rosemarie’s perpetual ability to surprise… Here is another defining quality for our list! No matter how long we knew Rosemarie, we never for a minute imagined that we had seen or heard it it all. There were always fresh archival discoveries, unnoticed works of art and unexpected historical deductions. There were ambitious new projects. There were not-to-be-missed conferences and exhibitions of which no one else had heard. 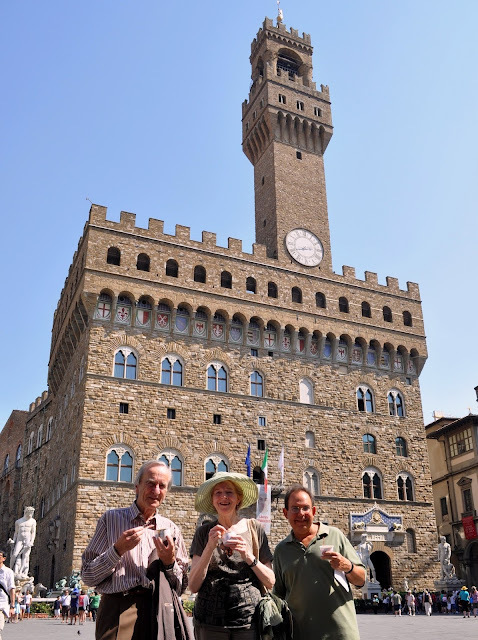 But most often, I would pick up the telephone and there would be Rosemarie proclaiming, “Edward, you absolutely must meet...so-and-so.” Usually someone passing through Florence. The world is full of people who would never have known each other if it wasn’t for Rosemarie Mulcahy—and that, I suspect, was her greatest contribution of all. course—many or most of you here today. Rosemarie and Seán admiring Giovanni Pisano's pulpit in Pisa Cathedral. Photos 1 and 2 (detail): Sent to me by Rosemarie. Photos 3 through 13: Lyle Goldberg. 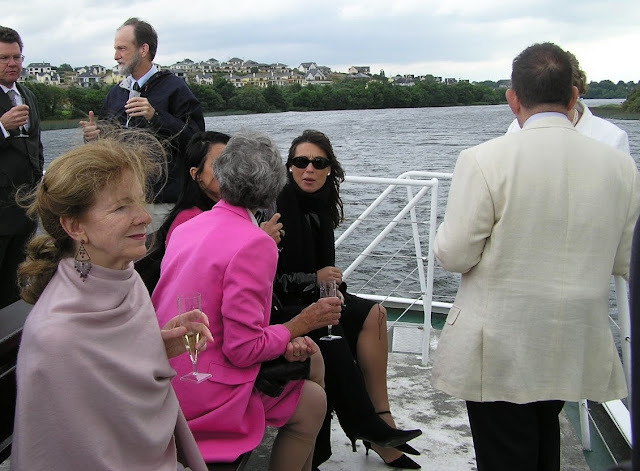 With friends, on the Shannon River. Thanks, Peter...but I am still trying to metabolize (as the Italians say) your startling image of Rosemarie with an iPad! Ed G.